Stylish Star Allu Arjun always supports small budget movies with good content. It becomes a norm these days, he invites young talents and appreciates them. 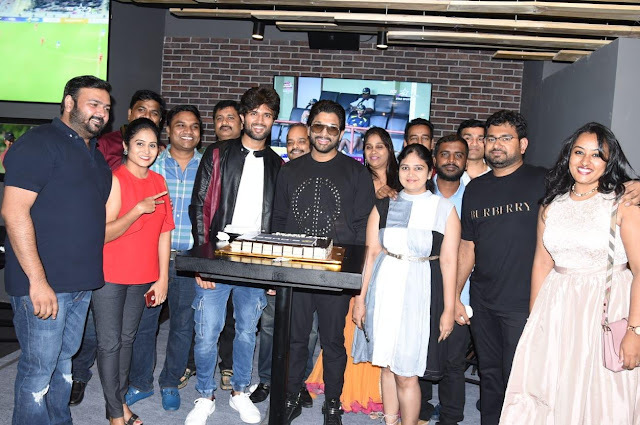 Now, Allu Arjun threw a lavish private party for the team Taxiwala in B-Dubs pub for the huge hit and he congratulated the entire team. He invited all the young directors and other new talents to the party. Director of the film Rahul Sankrithyan, leading lady Priyanka Jawalkar, Producer SKN and the Rowdy boy Vijay Devarakonda attended the party. Previously he threw such kinds of parties for teams of “#PelliChupulu” and “Mahanati” for their success. Vijayanthi Movies produced Mahanati and success party hosted by Allu Arjun and Allu Aravind attended by SS Rajamouli, Keerthi Suresh, Vijay Devarakonda, Nag Ashwin, Ashwini Dutt, Priyanka Dutt, Swapna Dutt, and other team members.